Suffragist, labour activist and nationalist, Kathleen Florence Lynn lived most of her life in Rathmines, and has been shamefully forgotten in a city she served selflessly and tirelessly. She was born in County Mayo in 1874, daughter of Church of Ireland Rector, Robert Lynn. Some of her education was received at Alexandra College, Dublin; she qualified with degrees in medicine, surgery and obstetrics from the Royal University in 1899. In 1909 she was made a Fellow of the Royal College of Surgeons. During the Lock Out of 1913, she became involved in the relief efforts for workers and their families. This commitment to the welfare of Dublin’s poor became a driving force for the rest of her life. Her activities brought her close to Countess Markievicz and James Connolly. She was appointed Chief Medical Officer with rank of the Captain of the Irish Citizen Army, and served in that position during the Easter Rising. Part of the City Hall Garrison, at the time they surrendered, it was Kathleen who was in command. Imprisoned after the Rising; following her release she became an active member of Sinn Féin. She was elected TD for Dublin County on the anti-treaty side in 1923. 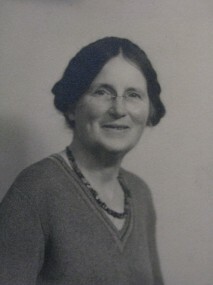 After failing to be re-elected in 1927, her involvement in politics diminished; she did remain active with the Rathmines urban district council until 1930. Lynn lived and ran a practice at 9 Belgrave Road, Rathmines. Her commitment to Dublin’s poor was exemplified by her work at Saint Ultan's Hospital, which she founded, along with Madeleine ffrench-Mullen, in 1919 to care for impoverished mothers and infants. It was a pioneering initiative, the first infant hospital in Ireland. She died on 13 September 1955, and was buried in Deans Grange Cemetery with full military honours. Her sympathies with the Republican cause brought her into conflict with her family, her gender mitigated against her in her profession. In spite of all this, she persisted and is one of Ireland's great unsung heroines. Perhaps the new children’s hospital will be named after her; one way or the other, it is now time to honour Kathleen Lynn.